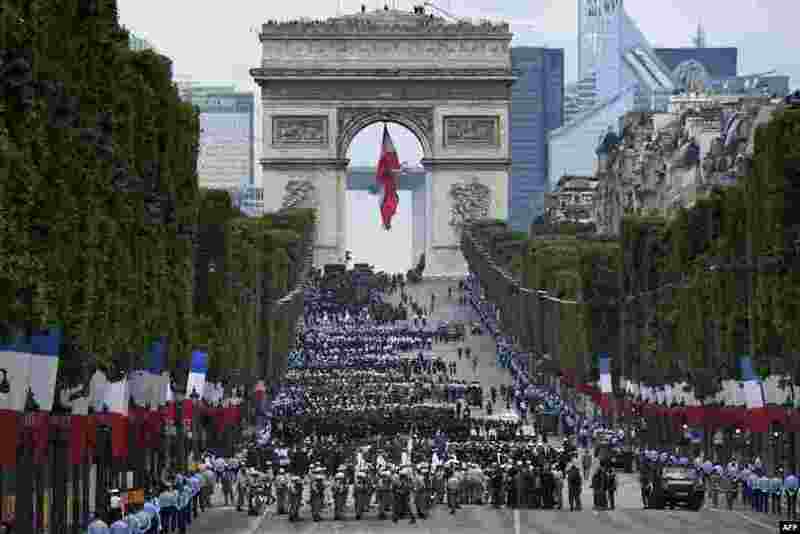 1 Troops wait near the Arc de Triomphe, in Paris, France, before taking part in the annual Bastille Day military parade on the Champs-Elysees avenue. 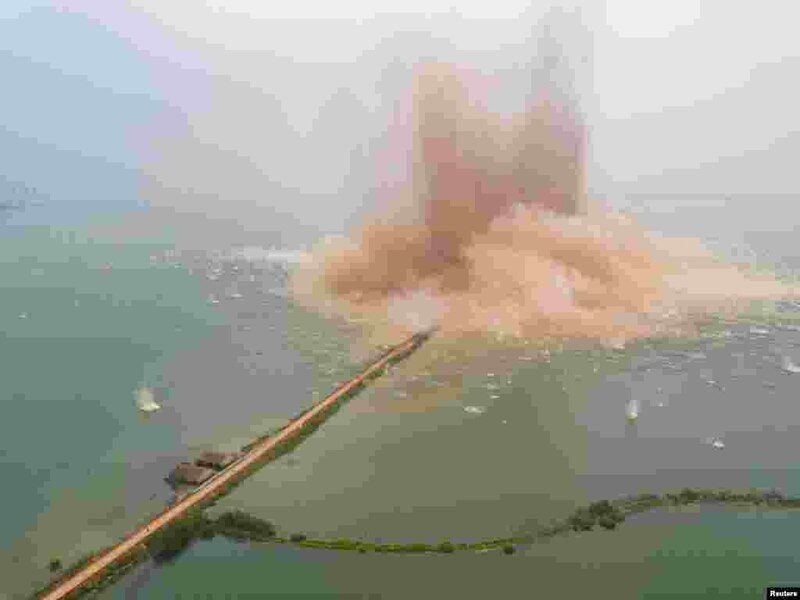 2 A dike between two lakes is seen under demolition in Wuhan, Hubei Province, China. 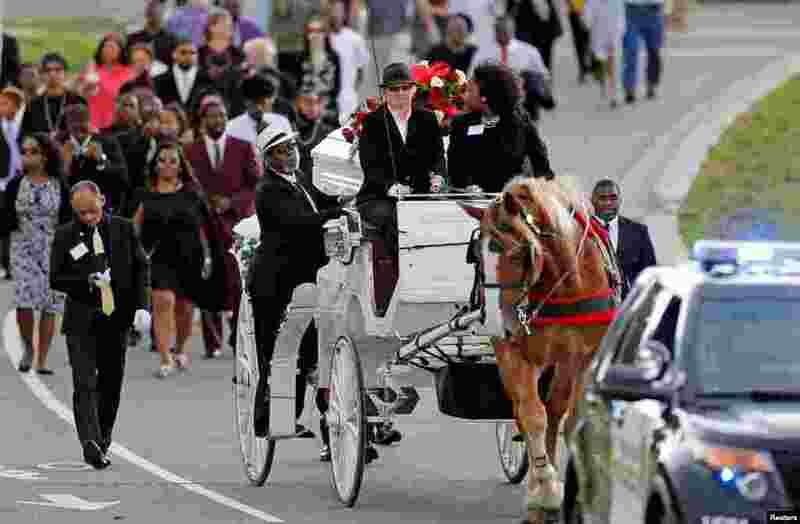 3 The funeral procession for Philando Castile approaches the Cathedral of St. Paul where services will take place in St. Paul, Minnesota. The 32-year-old school cafeteria supervisor was killed after a policeman pulled over his vehicle a week ago. 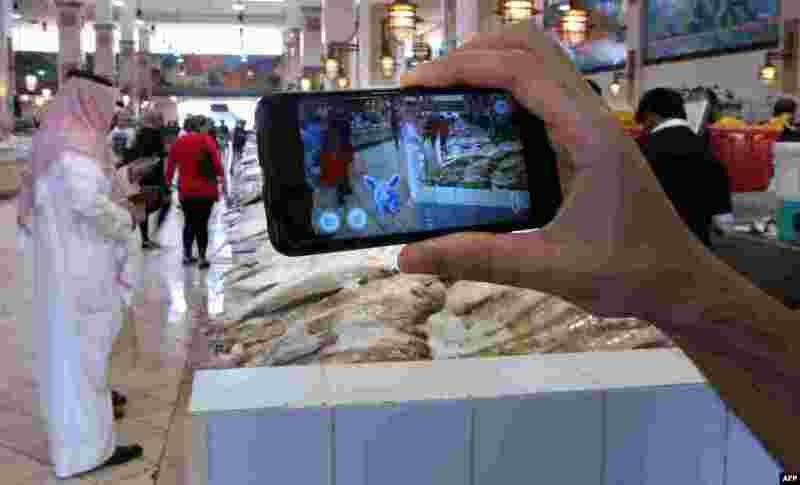 4 A gamer uses the Pokemon Go application on his mobile in the main fish market in Kuwait City, Kuwait.